Kipling’s New Summer Collection Has Got Me Good. Who of you has childhood memories that involve Kipling? If you’re Belgian, chances are likely that you went to elementary school carrying a Kipling satchel or pencil case. And if you were like me, you had a satchel, pencil case and gym bag. Everything from Kipling came with a furry monkey keychain and they all had a name tag. If I remember things right, my three monkeys were all named Maurice haha. These things were cool in the years 2000, guys! Overall Kipling was known to deliver high quality, practical and functional bags with no fuzz. They were designed to make your life easier. They lacked a little in the good looks department, but as long as they had a furry monkey, 10-year-old me wasn’t going to complain. And then came High School (and puberty) and I couldn’t loose the monkeys fast enough. I switched my navy blue satchel for a backpack and my matching pencil case was passed down to a sibling. I never looked back. A good fifteen years later and all the wiser I found my way back to Kipling. Their new summer collection has got me good! The brand still does what it always did best. They deliver lightweight, functional bags with an eye for quality and practicality, BUT anno 2017 they have a wide array of contemporary designs, colors and even fun patterns! Have a look for yourself and tell me that they haven’t seriously upped their game!? I’ve been seeing Kipling change directions over the last few years, but it was their new summer 2017 press release that totally won me over. They have a few colorful prints this season that could brighten up so many summer dresses and work outfits. There are matching accessories such as scarfs and the furry monkeys got a serious update too. I had a browse through their web shop and fell absolutely in love with some of the new designs. So when the sweet team behind Kipling offered to let me pick something out for my blog I was jumping up and down with joy. 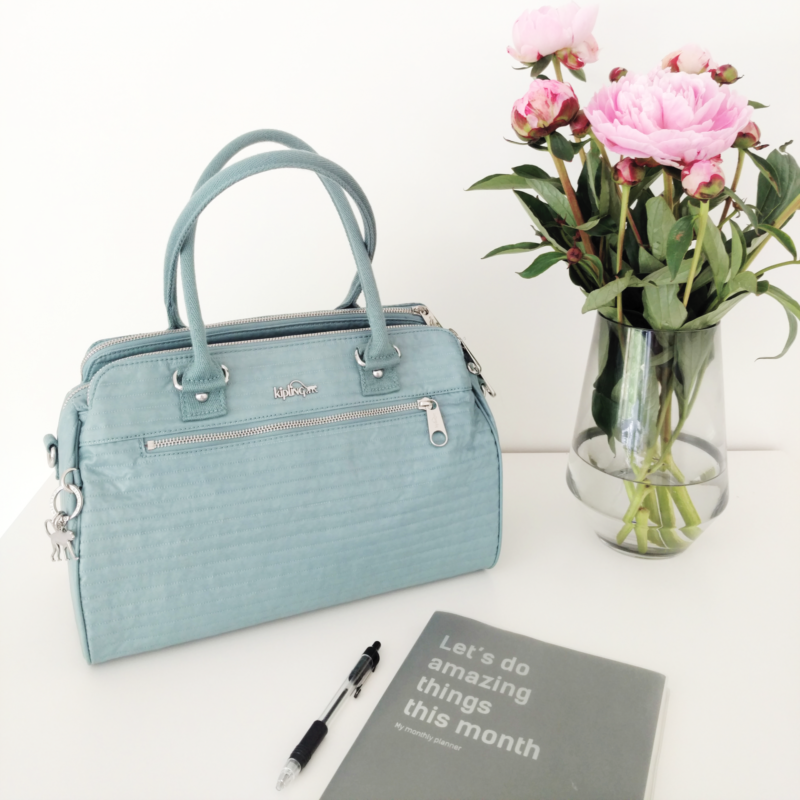 Keep an eye on The Ginger Diaries for a bunch of outfits that are coming up with my new Kipling Sunbeam bag this summer! See all my favorites down below! PS: I don’t think it’ll be long before the On A Roll Backpack finds it’s way to my wardrobe either… . WISH LISTED! Ooh I like that little gold cross body bag! 🙂 I don’t think we have Kipling here – I don’t recognise the brand anyway! I really like the pastel colour of your bag, it’s a lovely shade. Oh I love #1 and #5! These sound like great bags and I love the memory stories behind them. Your musings on the little monkey keychains reminded me of the keychain mania that went on at my middle school (around 1998-2000); I had so many keychains on my backpack at once that if I threw them at you they could probably knock you out. Oh, middle school!